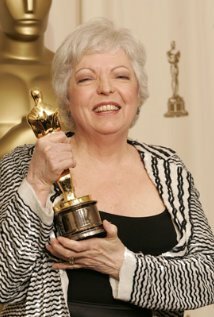 My editor research report is on Academy award winning editor, Thelma Schoonmaker. 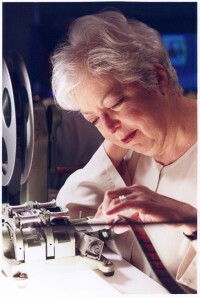 Thelma Schoonmaker has been nominated for six Academy Awards for best editing and won three times for her work on, The Departed, The Aviator, and Raging Bull. A significant amount of Thelma’s work has been a collaborative effort with director Martin Scorsese for more than 35 years. Thelma has edited all of Martin’s films since Raging Bull and for good reason! Thelma got her first break at film editing when she was hired by the New York Times as an assistant editor to help trim foreign films to conform to American television specifications. She assisted in editing films from great directors including, François Truffaut, Jean Luc Godard and Federico Fellini. Thelma represents a long and rich history of female film editors. It is little known today that women once dominated Hollywood in film editing and many of the greatest film editors historically have been woman. During Hollywood’s infancy, editing was not held in high regards although film editing had one of the greatest impacts on its production, many of the early editors, which were woman, never got the recognition they deserved. Today, editing has gained the recognition and acceptance of being one of the most respected art forms in the world of cinema which is also now recognized by the Motion Picture Academy. In the initial scene, we are shown Bill the Butcher’s gang when the gangs are arriving in the streets at the five points. The first cut takes us to a wide shot of Priest Vallon’s gang. We are greeted with confrontation. The second cut is of Bill the Butcher as his speech leads the cut to his perspective. The third cut starts head on facing directly in front of Priest Vallon’s gang which is long and subtle with wide sweeping views of the gang. Thelma chose to go with the wide sweeping angle shots to engage the audience in the size and scale of the action that is to follow. This shot was long and continuous taking up a vast amount of time and space allowing the entire gang to assemble prior to the next cut. In this same cut, the camera would swing right subtly so the audience can see the men gathering to the right. In the same cut Thelma allows the scene to continue uninterrupted while the camera sweeps all the way to the left allowing the audience to view Priest Vallon’s gang amass to the left. The long sweeping shots convey a sense of adversarial challenge and anticipation of the battle and final outcome. Then finally in the same cut, Thelma allows the camera to sweep back to the center where the shot had originated. The color of the scene is dark which contrasts with the snow on the ground. Thelma chose this as the establishing shot to communicate the confrontation that is about ensue. The fourth cut takes us back to a mid shot of Bill the Butcher. The wide sweeping shots of the opposing gang convey size and scope; however, we are then presented with a mid shot of Bill the Butcher and his gang conveying a message of intimidating odds which further engages the audience. The fifth cut is a fast scene of Bill the Butcher as he surveys the opposing force. The sixth, seventh, eighth, and ninth shots are in rapid succession with varying camera angles of mid shots of Priest Vallon’s gang. The angular shots of the gang conveys a message that their worlds are about to be turned upside down. The tenth cut brings us to a mid shot of Priest Vallon himself staring down Bill the Butcher and his gang. We are now fully engaged with confrontation anticipating the outcome of the bloody battle that is about to get underway! On the eleventh cut, Thelma chose to go with a tracking shot of Bill the Butcher as he pulls of his coat and hat then pulls out two weapons and holds them tightly gripping them in a threatening manner. The eleventh cut is also longer in duration than the other cuts adding a dramatic atmosphere to Bill the Butchers speech. The twelfth cut is a brief view of Priest Vallon as he listens to Bill’s speech. In the thirteenth cut we are presented with a wide shot of Bill the Butcher speaking then transitioning into motion when the gang holds up their weapons leading into the fourteenth cut of a close-up of the swords. We are presented with another rapid succession of cuts at the fifteenth and sixteenth cuts, a shot from above, then a shot from below. The seventeenth cut is a cutaway of children gathering around to witness the impending battle and subsequent deaths of the men to follow. Thelma had built up the dramatic tension of this scene by allowing it to progress slowly and methodically. The audience is presented with an abundance of information that would have otherwise been lost through fast paced editing. Shot selection played well with the drama as it played out at the Five Points on that winter day. Eisenstein’s theory of Metric Montage can be observed during the sixth, seventh, eighth, fourteenth, fifteenth, and sixteenth cuts. There we see a rapid succession of cuts with shots of varying angles of each opposing force. A sense of tension is conveyed to the viewer due to the limited amount of time the viewer has to absorb the information on the screen. During the rapid cutting, we see the opposing forces raise their weapons and as the tension builds up so does the sound. The men yelling out their warrior cries while raising their arms combined with a rapid succession of edits all add to the tension of the scene. Eisenstein’s theory of Tonal Montage can be observed at the climax of the scene in which the many men have died violently in the streets during battle. At the beginning of the scene, the gangs converge upon each other yielding deadly weapons intended to inflict harm upon one another. At the climax of the scene, the mood shifted to one of calmness and serenity. The noise that once raged loudly has been silenced by death that floods the bloody streets. Bill the butcher emerges intact as Priest Vallon has succumbed to his wounds and dies. Defeat has changed the mood of this scene which differentiates the beginning and the end of the scene. Eisenstein’s theory of Overtonal Montage can be observed by Priest Vallon’s son as he is outraged by the perceived pointless death of his father and the sobbing wives and children who also learn of their husband’s and father’s death. The bloody massacre that is the aftermath of battle proved to be unstoppable. The weak looked on as the strong fought long and hard to the death proving who will have the power and respect. Eisenstein’s theory of Intellectual Montage can be observed by the children that emerge upon the scene as the gang confronts each other. The children represent the future and learn from what they are seeing. The point here is that the children must learn to fight to prove themselves to earn their keep. The children also learn who to respect and who to fear. The children are born into a system of anarchy and chaos, one without law and civil liberties. They learn that the gangs rule the streets and to survive they must belong and follow in their father’s footsteps. Eisenstein’s theory of Rhythmic Montage can be seen as the two opposing forces approach from different sides of the street. The gangs are face to face with each other from differing perspectives and viewpoints. The audience has a visual sense that Bill the Butcher is on the right side and Priest Vallon is on the left sides of the viewpoint. The two opposing forces maintain their distance from each other while engaged in conversation.